Extract from the latest and damning IEA Report on the most important problems confronting the country. I dare say this is the ‘real’ state of the nation. Generally, the report corroborates other findings in the Afrobarometer survey but fails to provide a baseline for comparison – i.e. what was the situation a year or two ago. It will also be interesting to see the fully published survey instrument and datasets so those of us who are book-long like scrutinize it ‘well well’. Regardless, methinks the report makes some interesting revelations. ECONOMY: “About a fifth (20%) of respondents [1,200 people sampled with probability proportional to size] consider unemployment to be the most critical problem. This is followed by education (12.3%), management of the economy (8.3%), electricity (7.3%) and roads (6.9%). Others are water supply (6.7%), transportation (5%), health (4.6%), wages and salaries (4.2%) and poverty/destitution (4.1%). The least of the worries are: international war, AIDS, land issues, civil war, gender issues/women’s rights, discrimination/inequality, political violence and drought. At the local level, unemployment is still the dominant problem though it is more endemic in the urban places (22.7%) than the rural areas (16.0%). Again, EDUCATION, ROADS, WATER SUPPLY, TRANSPORTATION, FARMING/AGRICULTURE AND HEALTH are more of a concern in the rural areas than the urban areas. In contrast, the MANAGEMENT OF THE ECONOMY, ELECTRICITY, RATES AND TAXES, CORRUPTION, AND ACCESS TO LOANS/CREDIT are of much worry to urban dwellers than their rural counterparts. 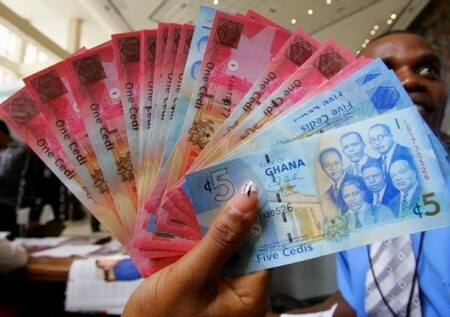 Broadly speaking, therefore, about 40 percent of Ghanaians think the economy as a whole is the major problem confronting the country. This shows clearly that bread and butter issues are the immediate concern for respondents.” —- pg 5. RELATIONS BETWEEN ETHNIC GROUPS: There is a general perception that one’s ethnic background or gender affects his/her chances of getting government job, contract, public housing, loans from government banks or even admission into the education institutions and other security services. Generally, about 50% of respondents think that someone’s ethnic background influences one’s chances of getting government job.” —- pg 7. BRIBERY, CORRUPTION AND TRUST IN PUBLIC INSTITUTIONS: Respondents’ views on corruption of 10 state institutions namely: the Office of the President; Members of parliament; Government officials; Police; Tax officials; District chief executives; Judges and magistrates; Assemblymen and women; Immigration; and Army were solicited… The public seem to have LITTLE CONFIDENCE in some state institutions namely the Tax Department (37%), Electoral Commission (35.8%), The Ruling Party (35.6%), the Police (35.1%), the Metropolitan/Municipal/District Assemblies (33.9%), the Office of the President (33.8%) and Parliament (33.1%). —- pg8.